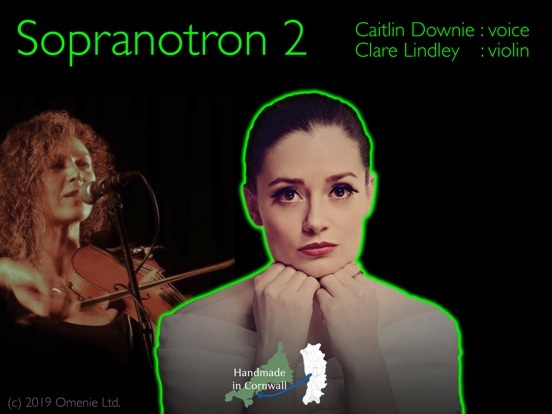 Omenie Limited released Sopranotron 2 after removing the original 2014 Sopranotron from iTunes. I'm not sure what is new here, but this one is Universal while the former app was only available on iPad. Like their recently released Streetlytron, there will be a high-end "Pro" version at some point in the future. Doug Woods mentions in his video below that the Pro version will include the samples from both Sopranotron 2 and Streetlytron in a single app. Doug Woods from The Sound Test Room shows off the new app, which does sound very good! I dunno. Sounds more like a keyboard to me than a choir. Pass. Agree with burnalot, this just sounds like a synth. I kinda always thought the Mellotron sounded like garbage as well tbh. It’s an instrument from before they figured out electronic instruments... How this thing is still relevant is 100% baffling to me. If I was to guess, 95% of remaining mellotrons, new and old, are owned by the Beatles fans who can’t play keys. It’s like using a Fairlight instead of a modern day computer.. Very odd. Old analog synths will sound good forever. Polyphonic tape decks? Not as much... But hey, to each their own. I think the point of these kinds of sounds is that they aren't meant to sound "perfect". There are VERY big sample libraries to accomplish these things. Each type of sound productions produces its own character. With the original tron samples, we just have associations with old "hits" and for that reason the sounds are evocative of a time & place. The tron character is just a particular kind of "lo-fi". Odd attack, weird tape grit & noise, weird wow & flutter, etc. etc. It sounds nicer than a ROMpler with only a couple samples. They did it right. They hired a great singer and made really "character rich" samples. Though some seem a bit weird (the pitch LFO is goofy on some of the examples). The Mellotron character is a worthwhile sound to exploit for its cultural associations. The hardware Mellotron is an oddity that I wouldn't want to be bothered with. Give me a great workstation with lots of sample RAM, and I'll use tron samples when I want that effect. I sure love that singer's voice. Whatever the ideological issues might be, this app sounds beautiful. That makes it still relevant.